Most people would imagine that living within a narrow space with very little light and fresh air to be typical of city living, but when it comes to animal living within the tiny cavities between an internal and external wall, it can actually be quite attractive to them. 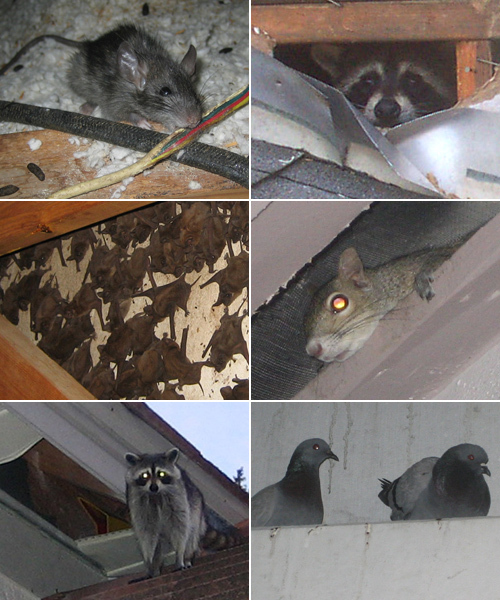 Drawn to the quiet, dark areas, there are only a certain number of species that can survive within a wall cavity, but in other cases animals can fall into the cavity from an attic or roof space. 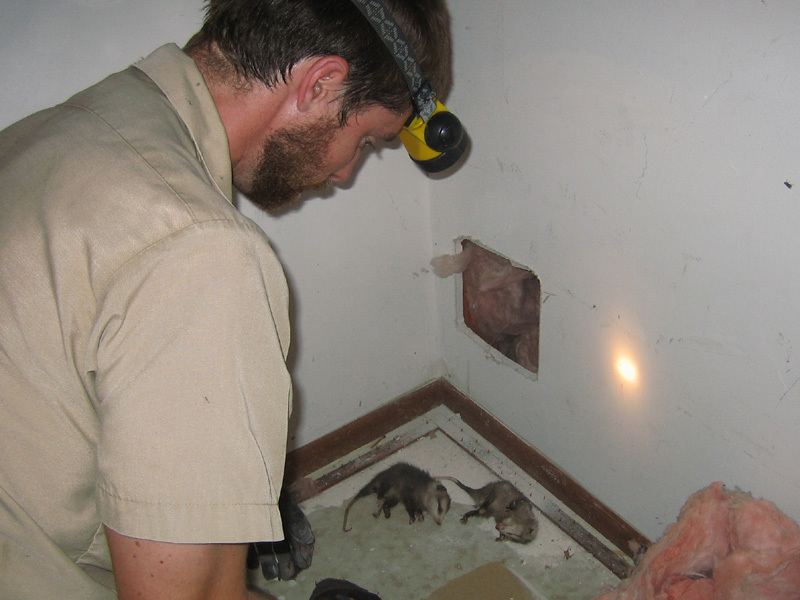 Rats and mice can often make their nest on the floor of a wall cavity if they gain access close to floor level, while opossums, squirrels and baby raccoons can also fall into these cavities. When it comes to dealing with rats and mice in the cavity, it is worth trying to find any access points along the bottom of the wall, both internally and externally to see if you can find how they are getting in and out. While finding the access points will make trapping the animals easier, particularly if you can see signs of regular movement through these areas, it also helps when it comes to sealing the cavity at the end. If the animals appear to have fallen into the cavity from the roof space, it is up in the loft that you will need to explore to try and find how the animals were getting in and out in the first place. 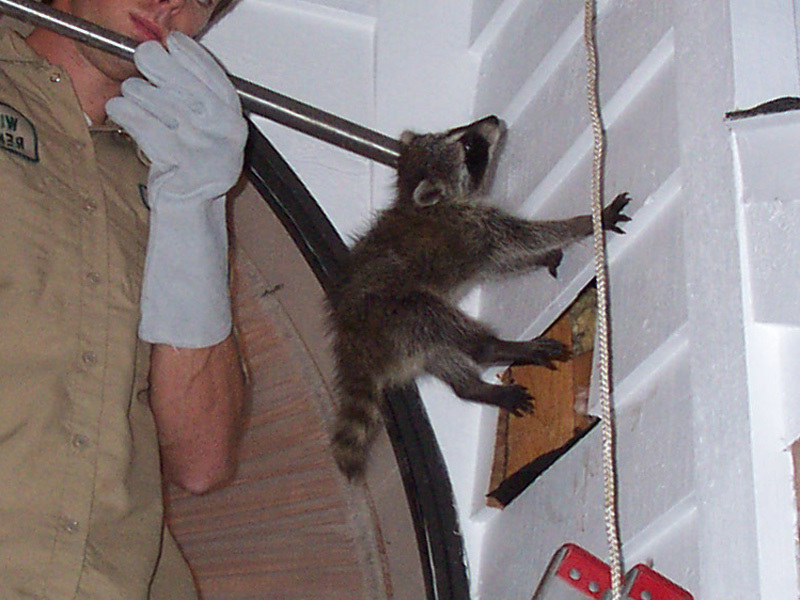 If you are lucky, you will be able to spot the animals from the top of the cavity in the roof, and in some cases you will be able to reach down with an extendible reaching stick to grab the animals, and they can then be placed in a box to be removed. However, in most cases the job will not be this straightforward, and the next step will be to cut a square in the drywall near to where you hear the animals scratching, and then to pick them out by hand. Once this is done, you can remove the animals and repair the drywall, and while it may be hard work, it is certainly better than the growing smell and then trying to remove a carcass if you allow the animals to die in the wall. While you may have been able to identify that you have rats or mice in the wall, the next step is to try and catch these animals by laying traps, and these are usually traditional snap traps which are known to be effective in most cases. Using a bait such as meat, cat food or peanut butter will usually help the success of the trap, while you should also look for locations where the animals move regularly to place the traps. If you are dealing with rats, these locations will be signified by brown smears on the wall, which come from the fur of the rat itself. A common approach to dealing with pest animals is to lay poison out to try and kill them, but in the majority of cases poison can cause just as many problems as those it solves. While it may kill the target animal that is in the wall cavity, it is very difficult to know where the animal will finally die, and this can lead to the problem of the carcass decomposing. While this can cause a problem in terms of the smell, in some cases it will also attract other pest animals to the area. Before you seal the holes that the animals were using to get in and out of the cavity, it is worth trying to get a look inside the cavity to see if there is any damage. Wood, electrical wires and other items may have been gnawed or chewed, and particularly with electrical wires these should be replaced before you seal the cavity. If an animal has died within the cavity of the wall, and you didn't notice any scratching, then you may find that the first indication that you get about an animal carcass inside the wall will be the smell. Similarly to dealing with an animal trapped in the wall, in some cases you will be able to reach down and grab the animal with an extendible reaching stick, but in most cases you will need to cut a hole in the drywall. You should use gloves to move the carcass into a thick bag or container that can be sealed, which can then be placed out with the garbage, if it is double bagged, or it can be buried or incinerated. Go back to the main How to Get Rid of Wild Animals page for more information about what to do if you have animals in your walls. Do you hear scratching sounds in the walls? Is there a dead animal stuck in the wall cavity creating a smell or odor? Or maybe a nest of baby animal in the wall. Can they cause damage, and how do you get animal out of the wall?